This list is pretty much in the same order a do things after setting up my iPhone or iPad as new. Turn off keyboard clicks in Settings > Sounds & Haptics. They drive me nuts so this is always a priority. Change time to 24 hours format in Settings > General > Date & Time. I’m French and grew up on what the US calls military time. Delete stock apps I never use (Contacts, GarageBand, Keynote, Clips, iMovie, iTunes U, Tips). Doing so doesn’t only help keep things clean, but it also saves tons of storage space on my device. Create a “Crapple” folder with all Apple apps I seldom use. Add French keyboard in Settings > General > Keyboard > Keyboards. Add French dictionary, and French-English dictionary in Settings > General > Dictionary. Typing often in both English and French, these two steps are essential. Enable dictation in Settings > General > Keyboard. I am not entirely sure why but this isn’t on by default. It probably has something to do with privacy. Set up text message forwarding to my iPad and MacBook so I can also receive SMS (not just iMessages) on these devices. You can do so in Settings > Messages > Text Message Forwarding. Set my default iMessage email address at Settings > Messages > Send & Receive. Set iMessage history to one year. After one year, messages will automatically be deleted, which doesn’t really matter since I will have a new iPhone by then. This is done in Settings > Messages > Keep Messages. Enable Wi-Fi calling in Settings > Phone > Wi-Fi Calling. This is a great feature that most carriers now support. Turn off call forwarding to other devices to prevent having all my Apple devices ring when I get a phone call. This is taken care of in Settings > Phone > Calls on Other Devices. Change the FaceTime default email address in Settings > FaceTime. I make sure the default email address used to place FaceTime calls is the same as the one used as default iMessage email address. I do this for all my Apple devices to make sure all my iMessages and FaceTime calls come from the same email address. Now that you know my entire process, tell me how you go about it. 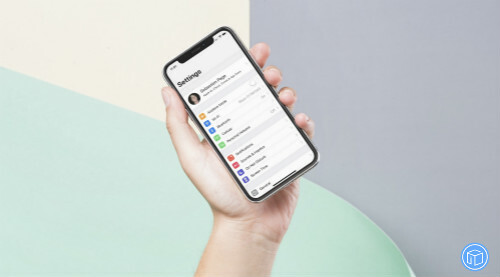 Do you set up your iOS devices as new like I do, or do you set them up from a backup? Do you have a set up process too? Any question about my set up? Share in the comments below. This entry was posted in Apple, iPhone, Tips and Tricks and tagged 15 things I always do when setting up a new iphone by IosdroneD. Bookmark the permalink.